Samuel Hübinette is representing Sweden in this pin ball styled obstacle course. Samuel Hübinette is Sales Representative in U.S. for MuoviTech. Samuel has working for MuoviTech for one year. The U.S. geothermal energy market is experiencing strong growth. 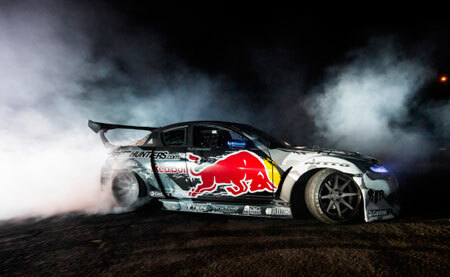 Samuel has a solid track record and has also managed to win the Formula Drift (U.S.) 2 times, took the bronze medal in the X-Games and is a stunt driver in several Hollywood productions including The Fast and The Furious. 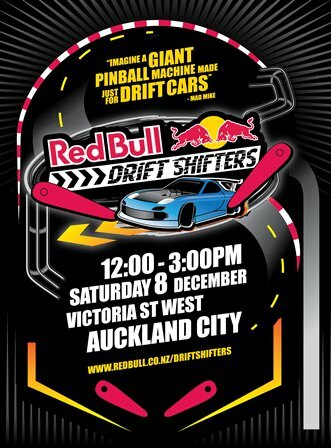 On 8 december Japan, U.S. and Sweden face the best drivers from New Zealand in the Red Bull Drift Shifters on Victoria Street West. 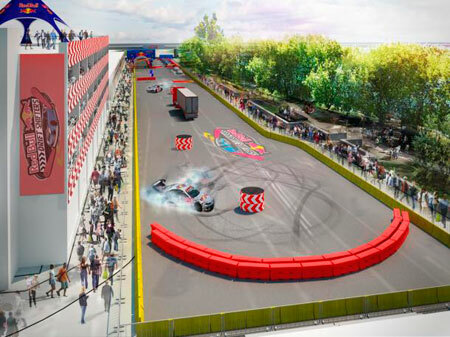 The track is a giant pinball machine with sensors that measure speed and how close the drivers are running an obstacle. The point is reported directly on the screens.